Nasal Soft Cushions are easy to use, just place the cushion on the bridge of your nose, between your skin and your CPAP mask; and then wear your mask as you normally would. The extra gel padding of the Nasal Soft Cushion helps prevent leaks and increases comfort, all while preventing skin breakdown, soreness and mask frame marks. The Nasal Soft CPAP Cushion contains no adhesives, is hypoallergenic, non-toxic, latex free, silicone free, and is designed to not support bacterial growth. With care a single cushion can last for several weeks. It is recommended that it be replaced at least once a month. 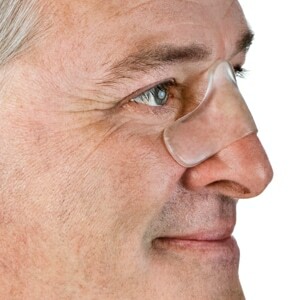 USAGE: The Nasal Soft CPAP Cushion is intended to be used as a skin protection device only. Replacement of cushions is recommended every 30 days. Do not place cushion in mouth, keep cushion out of direct sunlight & keep cushion away from open flames. Mineral Oils from the cushion may leave a mark if placed on furniture, painted surfaces, or fabric for an extended period of time. Enjoy a comfortable night's sleep! Distressed that I was charged so much for a produce that was essentially worthless. Every part of the skin it touched broke out in a rash. Stopped using after 1 day. This product seems that it would work very well if you don't have oily skin. I have very oily skin so it slides out of place and therefore does not do well at serving it's purpose. I love the fact that it is very soft and pliable unfortunately, it just doesn't work for me. This added to the leakage issue that I experience with my mask. Used it for part of one night and I threw in the garbage. The only consolation is it didn't cost much. This did not work at all. Kept sliding off my nose, pulling mask up enough to let the oxygen out. Tried a couple of times, and returned it. The thickness creates leaks where the cushion ends on both sides. Doesn't stay in place. Hard to adjust under the mask, so it moves around. Didn't work at all for me. ITEM DOES NOT HOLD ON TO YOUR NOSE - IT KEEPS FALLING OFF. I used the product but saw no appreciable impact. The Bridge of my nose was still sore. 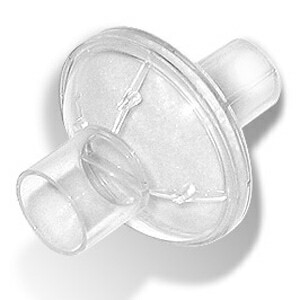 The product did not help alleviate nose Bridge pain associated with the use of the CPAP system. I do not recommend. I find it difficult to apply the cushion, but it does increase comfort and reduce leaks. The cushion is okay but it wont stay in the skin unless the mask is holding it. I love the idea - and it seems to be sound in principle - but in reality, it's not working for my dad... I wanted it to protect his nose from irritation, but he has trouble getting it put in place by himself during the night, after he visits the bathroom... he's having memory issues! Caused massive leaks and so tried to modify. That made it even worse, so threw away. Picture on site makes it appear that the cushion will bend to the shape of your nose, making it appear that it will stay in place. It does not. Costs more than other cushions that do the same thing; protect your nose from mask marks. Did nothing to stop the air leakage. Fortunately I also purchased the RemZzz cloth pads which work very well! The soft cushion also stuck to the mask and caused distortion of the outer mask seal, but the RemZzz still functions perfectly even with the distorted seal. The quality is excellent, is making sure that the face mask don't mark my face. The first night I used the cushion, I awoke in the morning with my face inflamed. About 10 days later, I washed the cushion with a mild liquid soap, patted it dry and tried the cushion again. I didn't have any break out that night, but it was hard to align the cushion. It did help but I don't think I would purchase again. I love these nasal cushions! They are great for keeping the air from blowing into my eyes from my CPAP mask, and they seal most leaks around my upper cheeks. I've used them for about 2 years now. This simple little device has made it possible for me to use my biPap machine with much more comfort and continuity. Still having some air leaks, but many few episodes of that to disturb my sleep with the new cushion. Does not stay in place, difficult to put in place and sometimes comes off. I had hoped that I would finally be able to get rid of the soreness on the bridge of my nose by using this pad. No matter how I positioned it, the mask leaked and air constantly blew into my eye. I tried for several days, but had zero success. Complete waste of money as now it just sits on the bathroom counter as a reminder to never buy anything for this problem. Suggest no one spend money and learn from my problems. The leg that goes on the upper part of your nose needs to be longer, the side legs are fine but the upper leg is to short,it sits right on the edge of my mask and causes a leak if I try Han pull it up higher the side legs cover my eyes. The cushion took a night or 2 to get used to but once I figured it out, it works great. It will not stay in place if you are setting straight up to put your mask on but if you go ahead and get in bed and then place your mask over it, it works great. Make sure to wash and dry your face good before going to bed. No more leaks and no more sore places on the bridge of my nose!!! It does not fit my face properly. Made the mask rise up to my eyes. I felt this would be just the thing to help stop leaks. I tried it and found it did not stay in place and was a waste of time for me. Both my wife and I have used a CPAP mask for years and occasionally had a small leak. This cushion was supposed to do the trick. Neither one of us could get it to stay in place. Could not use it, tried 3 nights. Air leaks, sounds awful. 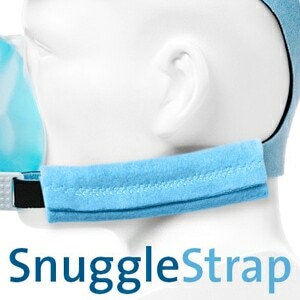 Wonderful product for CPAP pressure sore healing!! Does not stay on face. Air from CPAP machine leaks when wearing this cushion. As soon as I started using this item, the skin irritation started healing. Recommend this product if you have irritation to mask. Product works well and is comfortable. Really works does not allow the mask to make a sore on the bridge of my nose. I used to buy these cushions from another re-seller until they dropped them. Finally I found you and the cushions I like so much. I read some reviews on your website and was disappointed about some of the complaints about using the cushions. They do take some getting used to (2 weeks for me) but it is well worth the slight effort. I couldn't be more satisfied with this product--and your service and the price. My sister is having problems finding masks that don't hurt to wear. This cushion has lessened the pain significantly. I recommend it to anyone whose mask presses hard against the bridge and sides of the nose. This item slips around and does not stay in one place. It is more work than just using the CPAP mask. It is definitely not worth the money. I would never consider this particular item again. Sorry. Can't recommend this. It would be fine if it would just stay in place, but it won't and it won't let me secure it with a little piece of tape as the tape won't stick to it. If it would stay put it would be great. It's difficult to use since it does not adhere to the skin to give you a chance to place the mask before it falls out of place. It takes several tries to get it right. The nasal soft cushion is too fluppy and too light that I have a hard time letting it stay while I put my mask on. The item is not just for me. My Zest CPAP mask irritates the skin on the bridge of my nose. I had hoped that this product would solve the problem, but it did not. Not only that, but the product was difficult to apply. Great in thinking to make the pad in blue. Easy to spot if should fall from nose, which it does often in adjusting. Not sure how much it helps with leakage, however. With initial use of the CPAP system, I had significant irritation on my nose even with relatively loose strap adjustments. I searched online and discovered the Nasal Soft Cushion which I tried and immediately found the solution to my problem. I did replace the first pad after 35 days and now on my second and wouldn't do without one. Highly recommended! Item did not cover nose as depicted in photo. It looked larger and shaped to cover nose area in photo, but does not fit or cover the nose area as hoped and anticipated. The nasal cushion is a definite help in protecting the skin on my nose. But at times the protection is at the expense of a good fit for the mask and that complicates the air leakage problems that have so often interferred with a good night of sleep! The first night I wore it I noticed the next morning that my nose and cheeks looked inflamed. After the second night I had 2 large bumps on my cheek and the bridge of my nose was REALLY red and sore. I did not wear them after that, went back to my old ones (Blue Nasal Soft Cushions), and I did not experience any irritation. This product is the solution I have been searching for! 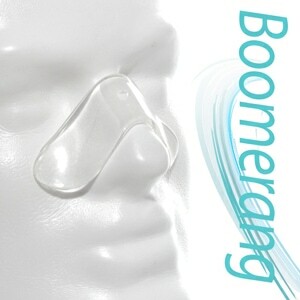 Provides padding on the nose bridge area between the eyes. Much more relief and more convenient than bandaides. I tried for four nights to use this. It is obviously not made for use with the Easylife mask. It didn't seal properly by my forehead and began making rather rude noises after a short time at the bridge of my nose. This is not all that it is chalked up to be. In order to get it to work right you have to stretch it and quickly put the mask on; then it should be tight as the cushion will go back in size. I think that the cushion should be made bigger so you don't have to stretch it. does not stay in place to make a better seal. this Idea might work better if it were part of the mask. my pressures are 14-17. This was a waste of money. Mask would not seal. Air got under the cushion and made noise. I had to remove it after an hour of use. I will never buy one again. The product is okay. I wish it would adhere to my face better. I would purchase it again but I think it's too expensive for its purpose. Mask would not seal when wearing nose guard. I love this. Hopefully it will prevent the bumps I get on my face from the c pap. Makes the mask feel more comfortable. I had problems with my mask irritating my ski. Leaving a red raised area around my nose. I have sensitive skin and believe it is an allergic reaction. With this soft cushion my skin is doing great! I can finally wear my mask! The cushion is a great improvement over the band-aid or cotton balls I tried. It could be a bit thicker on the bridge of my nose it would be perfect. I am still trying to adjust it for maximum benefit. The pads were of no use at all. Air leaked out at the top of my mask into my eyes. I also had leaks on my cheeks where the cushion ended. Altogether, it was a waste of money. I hope I can trim them and use them for my bunions!